SBM Machinery is the most famous marble processing equipment supplier in Asia area, We also always supply marble crusher, marble grinding mill for the clients all over the world. Marble rubbles can be used for construction building aggregate. 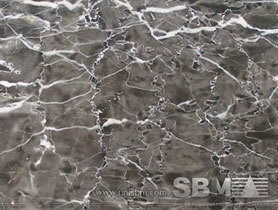 SBM provides you with the necessary processing equipment and support to get the most out of marbles. Marble rubbles can be crushed into small particles for building aggregate in the complete crushing plant. These crushing plant includes portable crushing plant and stationary crushing plant. Meanwhile, marble rubbles can also be grinded into powder used as filler used in coating, plastics, and rubber industries. As you browse through our offerings, please contact us to find out what we can do for your specific application. SBM marble processing plant is used for manufacturing calcium carbonate powder and construction building aggregate, raw marble blocks and produce marble strips/tiles and slabs. Usually, marble processing plant is also used in minerals extraction among chromate, coal, rock salt, lime stone, china clay, dolomite, fire clay, gypsum, silica sand etc. "Marble crusher, marble powder grinding mill manufactured by SBM make up marble processing plant with high quality and practical costs for the clients."